One of the the most under rated elements of Pay Per Click marketing is the ability to build and measure the effectiveness of different elements against each other. Split testing, also called A/B testing, refers to the process of developing several variations of a single advertisement material and comparing the results against each other. It is a test to measure the conversion ability of one sales page over the other. Split testing calls for developing two or three similar landing pages instead of one and finding out which among these would get the website better conversion rates. 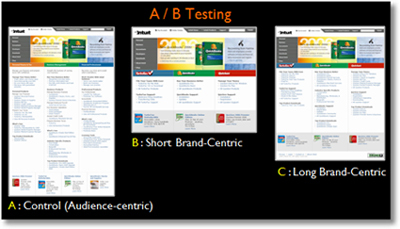 Other ways of measuring doing A/B testing include banners, PPC text ads etc. In our experience, this certainly does It would undoubtedly mean spending more time and money initially but it’s really worth it. Split testing analyzes the success of each variation of your landing page, banner, PPC etc and helps you concentrate only on those that bring in more traffic and conversions. 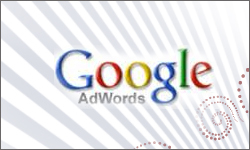 A successful internet marketing campaign would call for split testing the effectiveness of your advertising material. It obviously involves more work; but doing the split testing really pays off in the long run as you can then spend your time and efforts only on the one that brings in more conversions. The others can be eliminated altogether. Then the whole testing begins again! To illustrate the point further, let’s develop two variations of a landing page (1 & 2) with different layouts, colors, images and wordings and have it run for a week. Just watch which of the two brings in more conversions. If users stay longer and conversions are more in the 2nd one, choose only the 2nd one for your Internet marketing campaigns. Think of a situation where you had never done testing like this. You would never have known that your 2nd variation was bringing in more conversions. You would probably continue to spend your time and efforts on the 1st one draining away your precious resources in the process. It is often felt that many internet marketers also pay scant attention to the amount of time spent by a visitor on a page. But it should be realized that the more time spent by a visitor on a site, the chances of conversions taking place are greater. Split testing should form a crucial part of all internet marketing efforts. 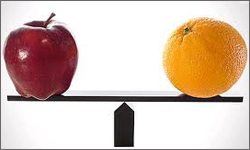 It offers you the option to test and judge the comparative effectiveness of your similar ad campaigns. It sets the bench mark for the best GEO location to concentrate on. It gives you vital statistics that could help you plan, grow and consolidate your business. It will guarantee a better return on your investment and will help you save dollars that otherwise would have gone waste. It does involve investing in time, money and efforts initially; but then its merits far outweigh the costs. The only question that remains; do you think you have the time to do split testing? My answer; How can you afford not to? Test has a huge impact on the bottom line. We can implement tests immediately and at a fraction of the cost to do it in a media or print campaign. What costs thousands to do offline, we can do for next to nothing online. If you are not doing A/B testing on your online content, you either don’t know about it and its impact or you don’t have your priorities in check. Surveys suggest that there is a definite shift away from offline advertisements towards online advertisements as the latter offer a better option to track your ROI .The move has gained greater momentum with the present economic downturn. Split testing is a further advancement in the ROI measurement process and would soon gain wide acceptance among the online community. I feel split testing should be resorted to by every online advertiser as it could offer a feedback on the ROI on every advertisement campaign .This helps him to tailor his campaigns accordingly and allocate resources in the most meaningful way . Yes David, it is financial management at its best. The days are not be far off when split testing would be deemed a necessity and every advertiser would embrace it wholeheartedly. A/B testing is a good option to measure the possibilities of our ad campaigns, but I guess to test this successfully we need to have considerable amount of traffic. And if a test runs for too long, the result might be affected by seasonal fluctuations in our specific business. Thanks for the informative post and helping me learn about split testing. I realize split testing can do a lot in website optimization and improving conversion rates. Maybe it’s a good idea for me to do some split testing on my blog and reap the possible rewards! I find it astounding that some bloggers consider this neat feature a bit daunting task when it’s so easy to implement it. Even if A/B testing requires a little extra effort when done right, it will yield valuable results that would surely increase your AdSense earnings.